Since I started this blog last year, a large part of my focus has been on paring down my overly large wardrobe. Until now, I’ve spent very little time and attention on decreasing the size of my accessory collection. In fact, I didn’t even include all of my accessories in the three closet inventories I’ve done (most recent here). While I noted the number of purses and scarves in my overall count, I’ve done very little to address the excess in these two areas. I now feel it’s time to make a strong effort to pare down my accessory collection, including the proverbial elephant in the room, my large assortment of jewelry. You may know me as a numbers and statistics “junkie,” but I have a confession to make. Until yesterday, I had never taken an inventory of the contents of my jewelry box! Seems like a glaring omission, doesn’t it? Does your jewelry box look like this? After more than a year of wardrobe challenges and culling, I was finally ready to “face the music” with my jewelry. In today’s post, I share the outcome of my jewelry inventory, as well as how I did with my first round of purging in that area. When I created my shopping and wardrobe goals for 2014, I almost didn’t include a goal pertaining to my jewelry. It was almost an afterthought for me to add goal #10, “Reduce the size of my jewelry collection by at least one-third.” However, I’m really glad I had the foresight to address my jewelry within my 2014 goals, as it’s really time for me to streamline what I own in that regard. 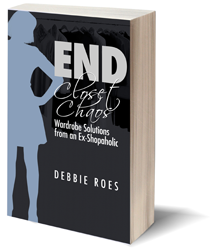 I’ve often written about the overwhelming feeling I would get every time I opened my closet. Fortunately, as I’ve made substantial progress in reducing the size of my wardrobe, that sense of overwhelm has decreased. I’d be lying if I said that I feel peaceful and serene when I look at my clothes, but I’m strongly moving in the right direction. However, I continue to feel intense stress when I open my jewelry box. There’s just far too much in there! To call what I have a jewelry box is understating things a bit. In truth, what I have is more like a jewelry armoire. Yes, it’s basically a piece of furniture, with eight drawers, one top compartment, and two large size doors for additional storage. When I bought my jewelry armoire about ten years ago, it was the largest one available. Not too surprising from the “queen of excess,” is it? Of course, I wouldn’t be at all surprised to learn that larger options are now available, but I’m not going down that road! Instead, I plan to de-clutter my current storage cabinet and potentially even downsize at some point. Below are two photos of my jewelry armoire, one as it generally stands and another with the side doors and drawers open. This is where I keep my large jewelry collection. I used to feel the same way about my closet. As long as I could cram everything in there, what reason was there to pare things down? So I kept buying more hangers and adding new storage options in order to maximize the number of items that could fit into a finite amount of space. I’m sure many of you can identify with this rationale and its accompanying behavior pattern. Why do you think retailers like The Container Store are doing such a booming business? Such businesses thrive in our climate of excess, as most people look to maximize their storage space rather than reduce their stuff. My jewelry collection is like the final frontier of clutter that needs to be conquered. Well, that’s not entirely true; I still have the information overload in my physical and computer files to address, but that’s on my list for this year as well. It’s all part of my simplicity and joy theme for the year. It’s amazing what a difference it’s made just to declare these words as my focus for 2014. The more the words permeate my consciousness, the more compelled I feel to reduce the number of possessions I own. Why Not Dive Right In? Last night, I found myself feeling melancholy and unable to focus on writing the blog post I originally intended to publish today. I just couldn’t motivate myself to write and my thoughts felt like a great big ball of confusion. As I sometimes do in such situations, I took a few moments to capture my thoughts on the screen through a stream of consciousness. What resulted was a desire to address my jewelry collection. We just never know where our thoughts are going to take us! That’s quite a large number, isn’t it? Remarkably, that’s almost the same number of clothes I had (272) during my initial closet inventory last January. I have to admit I felt a sinking feeling in my chest upon completion of my jewelry tally. Although I knew I had too much jewelry before taking an inventory, seeing the numbers really drove the point home. Originally, I had just planned to take an inventory and leave it at that, but I felt a surprising burst of energy coupled with the desire to start the culling process last night. So I spent another hour or so making some hard decisions around what to keep and what to pass on. Considering the “love factor” enabled me to release quite a few items that no longer fit my current style aesthetic. The second question allowed me to evaluate the remaining pieces related to my present lifestyle. Now what about sentimental pieces or expensive items, you might ask. I actually don’t have many pieces with stories and emotions attached to them. I have a maximum of fifteen items in this category, including my grandmother’s bracelet and some pieces given to me by a now-deceased friend. My sentimental items occupy just a small corner of one of my eight armoire drawers, so I decided to keep these pieces even though I never wear them. In regards to cost, we might feel tempted to keep some jewelry pieces simply because they were expensive. As is the case with clothing, it’s difficult to recoup the value of jewelry when sold on consignment or via Ebay, but that doesn’t mean we need to hold on to it. I usually opt to pass on jewelry pieces I no longer love to family members or friends who might enjoy them (I tell them these are “pre-owned” items rather than “re-gifting” them as birthday or Christmas gifts). However, this isn’t always an option and we’re then left wondering how to deal with our costly excess jewelry. I have yet to decide my plans for the few expensive jewelry pieces I still have that I don’t love and wear. I’ll likely sell most at a substantial loss while keeping anything I feel I might love again one day. But I don’t plan to keep anything simply because it cost a lot of money at one time, as holding on to things doesn’t bring our money back. I try to remember that what I don’t love may be adored and appreciated by someone else, and take comfort in that knowledge. I purged these 65 jewelry pieces from my collection last night! I managed to let go of 23% of my jewelry collection in just one hour! In order to accomplish my goal for the year, I only need to release another 10% (or more) by the end of the year. That seems quite doable to me. I plan to tackle my jewelry excess in much the same way as I’ve approached my overloaded closet. I’ll aim to wear and evaluate as many items as possible in the coming weeks and months. I won’t force myself to wear anything, but I will try to broaden my horizons. As one example, I will aim to wear my necklaces more often. In recent years, I’ve gotten into the habit of wearing earrings and bracelets and not necklaces. I actually enjoy wearing necklaces, but it just doesn’t come as easily for me to incorporate the necklaces into outfits. So I’ll be making a conscious effort to do so this year. If I find myself passing over a particular item time after time, or if I wear a given piece and don’t like it for some reason, I’ll add the item in question to my consign/donate box. This method has worked very well with my clothing, so I believe it will also help me to reduce the size of my jewelry collection. I’m glad I took the time to inventory my jewelry and do an initial culling last night. When I peer into my jewelry box now, it still looks full but I’m happy to have made a sizeable dent in the pare-down process. I now have a better sense of what I have and I feel motivated to shop my own jewelry collection rather than adding new pieces to the mix. If you struggle with jewelry overload, I highly recommend that you take a good, hard look at what you have. If it feels right for you to do an inventory, do it. Otherwise, just survey your pieces and organize them in such a way that it will be easier for you to grab them when putting outfits together. We often buy new things because we aren’t fully aware of the treasures we already possess. Taking an audit of our clothes, jewelry, and accessories can help us to better appreciate and utilize what we have, and can decrease our desire to acquire more. It really can’t hurt and it’s far more likely to help you, so I recommend that you give it a try! Do you struggle with “jewelry overload”? Have you ever taken a jewelry inventory? What has been helpful for you in managing your jewelry collection? As usual, I welcome your insights, feedback, and questions. In a future post, I’ll ponder the question of how much jewelry is too much. Of course, there isn’t a definitive answer to this question, but I have some thoughts to share which might be useful to you. This entry was posted in Accountability, Wardrobe Management. Bookmark the permalink. So timely! Now, readers and Debbie, please help me! My jewelry collection occupies the top drawer of my dresser. I have not opened that drawer in at least two years. The handful of items I wear regularly sits on my dresser in a little box — the rest hasn’t seen the light of day in a very long time. What should I do with my unused jewelry? How do I get rid of it? Where would I sell it? If I donated it, where would I give it and how would I ensure it wasn’t pilfered by a donations clerk? Getting rid of this stuff would be a HUGE relief, yet I feel paralyzed as to how to proceed. Any ideas welcomed! I culled pieces from a MUCH smaller accumulation of jewelry when I made a big work transition a few years ago. I had a lot of silver pins that were a bit on the juvenile side that I had never worn (they had been gifts from a close relative). I didn’t want to melt these down for cash so I took them to a high-end resale shop. I didn’t get much money for them when they sold (those dratted consignment fees!) but I could hope they were going to a good home. I repeated this with some additional jewelry — vintage, semi-precious, whatever. The stuff that consignment shops wouldn’t take, I packaged nicely and sold in a yard sale. And the last few things that didn’t sell there I took to a charity shop.The critical issue is that the stuff I no longer wanted was out of my house. I kept only the items I wear “everyday” — at least a few times a month– or for special occasions. I kept jewelry that belonged to my mother and that I wear all the time. I kept some “good” jewelry that I would be hard-pressed to replace but that I wear less frequently. I didn’t have a lot jewelry to begin with and what I have now are only things I love. Bette, do you have friends or relatives who like jewellery? They might be very happy to get first pick of the things you don’t wear, and you would know that the items have gone to a good home. Then you could sell the rest as Dottie suggests. I’m glad you already got a few responses, Bette. I’ve struggled with the same issue – jewelry I no longer want but I’m unsure what to do with it. I’ve already given some pieces away, but still have a lot of other pieces to get rid of. I’m going to try 2 local consignment stores to see if they want any of my jewelry pieces. Whatever they don’t take, I’ll give to charity. I’ve never thought about the donation clerks taking my items, but I’m sure that happens. The main charity I give my items to is the American Cancer Society Discovery Shop. The people who work there are almost all volunteers and are mostly senior citizens. I doubt any of them would take donations for themselves, but I’m willing to take the risk. Selling items on Ebay is also a possibility. I’ve never sold jewelry there, but I have sold other items (such as shoes). It’s mostly a buyer’s market, so the amount one gets is usually not great, but it might make you feel a bit better to get SOME return on your investment. If you just want to get rid of your unwanted jewelry, I would go the charity route and do a bit of research on what charities are most reputable. I promise that you’ll feel a huge sense of relief when you let the items go, regardless of where they’re going. I am SO happy not to have as many clothes and accessories as I used to have! Good luck. Hopefully others will chime in with more suggestions. Good job! I’ve wanted a hanging wall type armoir with mirrored cover for a while. I don’t have a ton of jewelry, but a lot of it is sterling and hanging out in the open air here in FL tends to tarnish quickly. A velvet lined box would be much better. I purged a bit here half a year ago. Like you, I had plenty that was in fine shape, and just wasn’t ‘me’ anymore. Unlike clothes, jewelry seems to last, and therefore accumulate, year after year. I might have had 50 pieces. I probably have about 35 now. Many earrings went as the style was not me and 2 necklaces I still liked, but were tarnishing (cheap costume plating) so they went due to poor condition. If I’m honest with myself, I wear 3 or 4 of my necklaces 90% of the time, and the other dozen rarely. But I still like them. And I still have room. So I’m not ditching too soon. I also pared earrings down to about a dozen, give or take a few pair. A lot of what went was cheaper costume stuff. Now I almost exclusively have sterling, 2 pearl pair, and just 3 costume fun fashiony type are all that is left. I’m happy with this. Lastly, I have probably a dozen bracelets/watches as well. Seems I wear the cuffs more than anything and I’m happy with this amount. No rings but the one on my finger everyday. I think eventually I might add one nice piece of jewelry each season, or at least each year. But what I have now is truly plenty for me. Sounds like you have a manageable amount of jewelry, Mo. I agree that jewelry can tend to last longer than clothes. Some of my jewelry pieces are over 20 years old and I doubt I have any clothes that are even 10 years old (most are in the 2-4 year range). Since jewelry doesn’t take up as much space, I haven’t made as much of an effort to pare down my collection – until now, that is. I like your idea of adding one nice piece of jewelry each season. That’s likely what I will do after I get things down to a more manageable level. I have a tip for you regarding the tarnishing issue, as I live near the water and there’s a lot of moisture in the air here, too. I read in a magazine that putting chalk in your jewelry box helps, so I added one piece to each of the drawers in my box. Virtually no tarnishing since – works like magic! Amazing what you accomplished in an hour! I personally find when needing to get rid of things that it is important to remember that the money was already spent – its a “sunk cost”. If you have some items that are truly valuable then by all means try to sell them. If not, let them go. If you want them to be worn by needy people then find an organization that gives interview clothing to women in need. If you want to support your favorite cause then donate to their thrift shop. My current favorite place to donate is a thrift shop supporting rescue animal groups. Good point about sunk costs, Juhli. I’m mostly okay with getting rid of my unwanted jewelry items. I feel a bit guilty about the things that were gifts, but I can get over that. I like your suggestion to give items to Dress for Success or similar organizations. A lot of my jewelry isn’t conservative enough to wear for interviews, but I’m sure that others reading this will follow up on that recommendation. I suspect a portion of my jewelry will be accepted for consignment, but the rest will go to charity. Like you, I enjoy donating to causes that I support. I’m happy that my castoffs are able to do some good! I love it when you can easily let go of things! You have an impressive collection, I wish I could come over and swap with you 😉 I also have been letting go of several pieces of jewelry. My issue is that I accumulate too many SIMILAR pieces, so I wear my favorites and the other similar pieces languish. I really would like to add some variety, I’m finding myself wishing for some longer necklaces, new earring shapes, and some more variety in bracelets. I do make an effort to wear jewelry, I think they complete the outfit most of the time. I also let go of a lot of things lately. I have 30 necklaces, 10 bracelets, 22 pairs of earrings, and 3 scarves right now. I purged at least 10 necklaces, 6 bracelets, 3 scarves, and 6 pairs of earrings but don’t know the exact numbers (definitely more). That is almost 40%, and I still have another round of purging at least to go. Wearing my items more makes me realize what works and what doesn’t. But like I said, I’ll be keeping my eyes out for new versatile pieces to add as well as what to purge. Also- did you see Bridgette’s post about statement necklaces? I love the one she featured (I cannot afford it sadly but will keep it in mind when shopping). Congrats on the jewelry purging you’ve done, Meli. Your collection is at a much more manageable level than mine, but I have about 20 years on you (not that it’s really much of a real excuse!). I also have a tendency to buy very similar pieces and wear only my favorites. 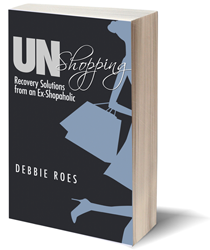 I’m working to mend that bad shopping habit and also let go of the pieces that aren’t my favorites. Not good to “split my wears,” as Bridgette says! Yes, I saw her statement necklaces post and bookmarked it. I love the necklace she featured, too, but as you can see from this post, I don’t really need any more jewelry! I have no doubt that you will accomplish with your jewelry the same as you have done with your clothes, but my head still spins looking at the sheer amount of items. I probably could never make up my mind what to wear given all the choices. As for my collection: two watches (Omega and Cartier) maybe five gold,silver/gold, or pearl bracelets, necklaces, earrings each. Add to that fewer than ten assorted turquoise and topaz pieces, and that’s it. All of my pieces are pretty understated, and with the exceptions of my diamonds can and are worn day in and out. My own head spins when I consider the volume, Cornelia! I think that’s why I was able to make such good progress in paring things down the other day. I really do want to have a more manageable wardrobe and accessory collection. What you have sounds great. It’s far better to buy fewer quality pieces and not go for quantity like I did. That’s what I intend to do from now on, but it would have been better not to accumulate so much stuff in the first place! I saw your jewelry organizer in Bed Bath and Beyond the other day, Emmy – it’s very cute! I used to have a similar organizer that I hung in my closet (before I amassed such a huge jewelry collection) and I know what you mean about losing track of things. At least you have your Stylebook app to help you remember what you have (I hope they have a version for Android soon, as I’d like to use it). How much jewelry constitutes “overload” is a very individual thing. I used to be fine with how much I had, but now I’m ready to pare down. I think I’ll meet my goal, too, but then I might set another more ambitious goal. We shall see! I have some jewelry, but not quite that much. I did purge quite a bit not too long ago and I gave it to my friend and her daughter. I am sure I could get rid of some more because I seem to wear a couple of necklaces, a pair of silver hoops, and assorted bracelets most of the time. Good job on the progress you made! Believe it or not, I also purged quite a bit of my jewelry last year, Tonya. I’m sure I got rid of close to 50 pieces before this year began! I think it’s a good idea to go through our jewelry at least occasionally to see what we are and aren’t wearing and what we could pass on. If I had done that more often, perhaps I wouldn’t have amassed such a vast collection! I have a very bittersweet addition to this conversation. My jewelry collection has been pared down for me 3 times, by robbers. 😦 I live in Chicago. The first time, it was pretty much my whole collection of costume jewelry, which I had in a plastic box with compartments like you use for beads. Luckily, my “good” jewelry and most of my sentimental pieces were in a different place and they didn’t find it. I felt so violated and sad to miss things I’d bought on trips, or my great, fun variety of earrings. The second time, they did get my “good” stuff, which was anything that was real gold or jewels, all of which were gifts, plus some (probably worthless) costume jewelry that was my late grandmother’s, and a ring that was given to my mom as a baby from her godmother. That robbery stung a lot more. Those were both years ago, and as far as I can tell, were done by random burglars. After being robbed twice in 2 years, I decided that perhaps the universe was trying to tell me something. I was a young professional and was probably developing an unhealthy relationship to STUFF now that I finally had a decent steady income with which to buy it. Being robbed actually helped me to realize that stuff is just stuff and that it was ok to let go of things. Thus began a long journey of learning how not to be a packrat of all kinds of things! The 3rd one just happened a few months ago, and was very strange. My roommate had a few people over, one of whom was a friend of a friend that she did not know, and he stole all of my rings and one Tiffany necklace from my jewelry box. Rings are my favorite jewelry to wear…I had many that I loved so much, so I was very sad and angry to lose them. The good news is that I’ve already learned how to move on from the previous two times. At first I wanted to go out and look for similar rings to replace the ones I lost, but my desire to live more simply is helping me to realize that it’s not necessary to replace them and that I can live just fine with less jewelry. I have no advice to offer but I wanted to say how sorry I am for what you’ve been through- I can’t imagine it. I know they’re ‘just’ things but the violation of your space and property, and losing things you love, is truly awful and I can’t even begin to imagine how you feel. Jackie, Thank you so much for sharing your story with all of us. I echo Meli’s sentiments… I can’t imagine how difficult it must have been for you to endure multiple robberies! You have such a wonderful attitude about the whole thing and seem to be very resilient! 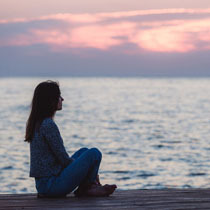 I think many of us develop very unhealthy relationships with our stuff and some people never get past that, even if they endure hardships like the ones you described. Fortunately for you, you have been able to recover and derive positive lessons from such negative experiences. I hope you will never have to go through anything like that ever again! I wish you the very best with your journey to live more simply. I am working on doing the same and have already gained a number of benefits from it. I did two jewellery culls one after the other last month. I tended to wear the same dozen or so items because it was easy, because I knew what they went with and I couldn’t be bothered to sort through all the rest. I am more adventurous now and do wear things that used to lurk in the cupboard but there is still a lot there I do not wear and really should go. I have sold some of the high end items and got a good price. Gold is at an all time high which helps. Congrats on your two recent jewelry culls, Gillie! It’s amazing how we can hang on to things we haven’t worn for many years. Paring down my jewelry is already helping me to wear more of what I own, as I can more readily see what is there. I’m glad you have been able to get good prices for some of your cast-offs. Most of my jewelry isn’t very valuable, but I’m hoping I might be able to get a little money for it. If not, then I will take comfort in knowing that others will wear and enjoy what was merely languishing in my jewelry armoire. I’m off to do this now! I do have gifted jewelry that I don’t particularly care for; I think I’ll keep at most one per person (except my parents) – at least to start with. I don’t think I’m up to more than that now. I’m glad I inspired you to do a jewelry cull, Sara! I hope it went well for you. I like your idea of keeping one item per person who gifted jewelry to you. That way, you’ll have some nice momentoes without a lot of clutter. Best of luck to you! Great article! How did you handle the fine jewelry? Or, I should ask… What percent of your original inventory was fine jewelry. I am in a similar quandary. I like your current numbers… more practical and manageable. I’m glad you liked this article, Wanda. I would estimate that approximately 20% of my jewelry inventory was fine jewelry and I still have most of it. I passed along some pieces I no longer loved to my mom and may ask some other family members if they are interested in other items. For the rest, I’m going to check with some local fine jewelers to see if they accept pieces on consignment. I may keep some items that I see myself perhaps wanting to wear again down the line, but many things I know I will never love again. It’s definitely more difficult with fine jewelry, but I’m hoping I can recoup some of my investment (or the investment of the people who bought the pieces for me). If I learn some useful information to pass on, I will do a follow-on post. Best of luck to you! what do people do with their jewelry they no longer want? donate, sell, gift to family/friends? I’ve done a combination of all three things, Karen. Whenever possible, I’ve given the pieces I no longer wanted to people in my life whom I feel will appreciate them (I didn’t pass them off as new items, though!). I took the rest of the items to two consignment stores, both of which took some of them to re-sell. The remainder was donated to a local charity shop. If others have suggestions for Karen (and other readers), please share them here! Thanks! thank you for the prompt reply ! So happy that I came across your post. I’m trying to motivate to get back on my whole house decluttering. I’ve come a long way during the past two years but I still have a long way to go. One of my goals for this is further reduction in the jewelry. I’m in my early 50s and don’t seem to wear my jewelry as much as I use to, which means it’s just taking up space. Besides sentimental items, which I have few of, and expensive items, which I don’t think I have any of, my goal is to pare down to basic necklaces and earrings that will go with just about anything. Welcome, Maivs! I’m glad you found this post helpful. It sounds like you have a good plan in place for your jewelry. Believe it or not, I’d already pared my jewelry collection down quite a bit before I did the inventory I mentioned in this post. It is often a gradual process. I’ve found that each time I go through my jewelry, I’m ready to get rid of more and more. The less I have, the more I can see what’s there and the more likely it is that I will wear the pieces I still enjoy. At the end of the year, I’m going to let go of anything that didn’t get worn this year (save a few sentimental pieces), plus I’ll probably do a few minor purges along the way. Best of luck to you! Accessories, they can accumulate just as fast as clothes. I’m fortunate that I’m not a big costume jewelry gal myself, so I do not have a large collection. However, a few years back, handbags was a different story. I had enough to not only coordinate with every outfit, but also to go many days in a row without repeating a bag. I ended up selling the bulk of the collection on Ebay and took a nice hit to the ol’ wallet in doing so. Coach bags, Dooney and Bourke bags, Gucci bags. What a waste. I did keep some of my bags, but not too many of them. How did I decide which one’s to sell? I only kept bags that were sentimental, either gifts from friends or hubby. It turns out, I had enough ‘special’ bags that I did not need all the extras. And now I can look at my bags and think of the gift giver. I had close to 40 bags at the time, and now I own 7 bags (3 daily bags that can be swapped when I get bored, 1 work tote, 2 special occasion bags, and 1 summer bag). Thanks for sharing the story about your handbags, Lisa. You have made really amazing progress in that arena! I love handbags, too, but I’ve never collected them the same way I’ve collected clothes and jewelry. I don’t buy all that much jewelry anymore, but my previous “collecting” led to the overabundance I have now. I’m happy to be paring things down now. I wonder how often you switch out your bags. I wish I could be the type of person to switch them to coordinate with my outfits, but I tend to carry neutral bags that go with everything and switch them out every few months or so. I think it’s helpful for us to know what kind of person we are, as that can help guide our shopping choices. I don’t see myself accumulating a lot of bags that are harder to mix and match, as I know I won’t want to change them out all that often. LOVE this post. Thank you for it. I stumbled across it today, and you inspired me to do something similar. I also feel I have “too much” jewelry, although at 161 total pieces I am not starting out with QUITE as much as you. Nonetheless, I need to cull some stuff. I started today by sorting out anything sentimental (gifts, pieces I’ve inherited, pieces I’ve picked up on special trips) and putting it in a separate box. For me, those are definite keepers, even if I don’t wear them that much. Everything with no particular sentimental value, i.e., stuff I’ve bought for myself over the years, is still in my main jewelry armoire. I’m thinking I will give myself 6 months to do a gradual purge. Anything in the jewelry armoire that I actually wear during that time is a keeper; anything I haven’t worn after 6 months, I will sell or donate. Of course the next step is to stop BUYING more jewelry… that might be the hard part! Thanks for your comment, Kristin. I’m glad you found this post helpful and that it inspired you to do a jewelry inventory! It sounds like you’re off to a good start with paring things down. It’s a good idea to separate out the sentimental pieces, as most of us don’t want to get rid of those. I don’t have many such items, but I plan to hang on to them. I think your goal of giving yourself 6 months to gradually go through and purge jewelry is a good one. Yes, not buying more would definitely help! My jewelry collection was accumulated over MANY years, but I have continued to buy more and more. I’ve still bought some pieces this year, but I’m mostly focusing on wearing what I have and finding some “diamonds in the rough” in my jewelry box. Best of luck to you with your pare-down process!